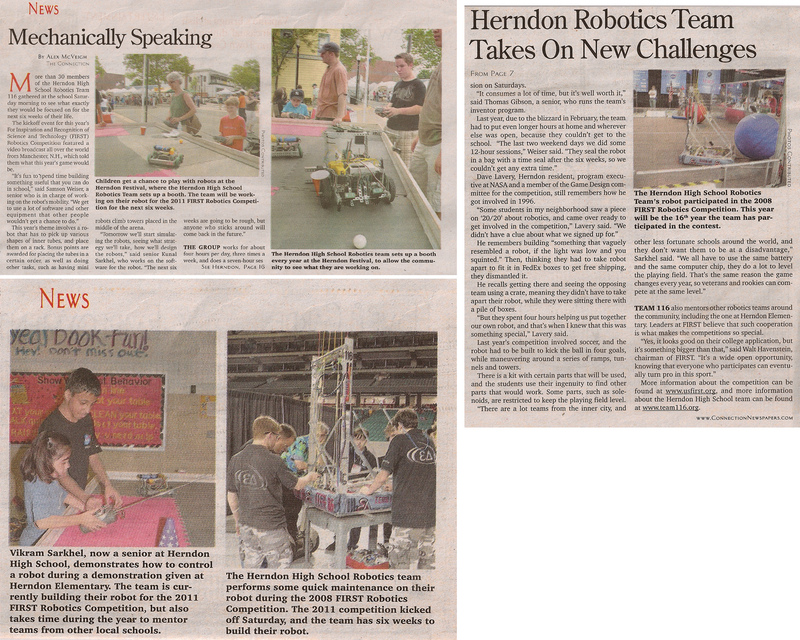 An article about the Team was written in the Herndon Connection titled, ‘Mechanically Speaking.’ See it online here or click the image below to view the print version. Autodesk has just released the details for the 2011 Excellence in Design awards on their website. To see the award criteria, including the prompt for the Animation award, take a look at the Official Rules. More information and resources, including access to all of the free software downloads, can be found on Autodesk’s Education Community website.